Do not modify this recipe unless you are trying to ruin the most perfect Spaghetti Carbonara you have ever tasted. 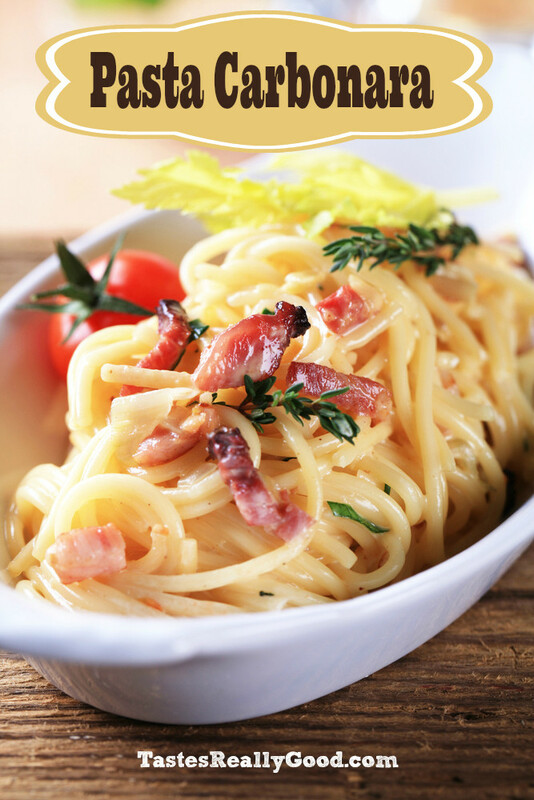 The ONLY thing you should consider is adding pancetta instead of the bacon and serving with a generous sprinkling of cracked pepper which is an ingredient in any authentic Italian Carbonara. Meanwhile in a large skillet, cook chopped bacon until slightly crisp; remove and drain onto paper towels. Reserve 2 tablespoons of bacon fat; add remaining 1 tablespoon olive oil, and heat in reused large skillet. Add chopped onion, and cook over medium heat until onion is translucent. Add minced garlic, and cook 1 minute more. Add wine if desired; cook one more minute. Return cooked bacon to pan; add cooked and drained spaghetti. Toss to coat and heat through, adding more olive oil if it seems dry or is sticking together. Add beaten eggs and cook, tossing constantly with tongs or large fork until eggs are barely set. Quickly add 1/2 cup Parmesan cheese, and toss again. Add salt and pepper to taste (remember that bacon and Parmesan are very salty). This is not Carbonara.. real Carbonara is only cheese, pancetta and eggs!